You can consider installing ceramic tiles anywhere in your homes, but how to clean ceramic tile floors remains the doubt. One of many greatest things about ceramic tile is that it requires very little maintenance. Ceramic tiles are very popular for both wall tiling and floor tiling. You can see many advantages with installation of ceramic tiles in your home. Ceramic tile is suited best for outdoors. you can use them in entryways, bench tops or splash backs. Ceramic tile maintenance tips must be followed to keep the shine going for ever. Ceramic tiles are very low at maintenance. 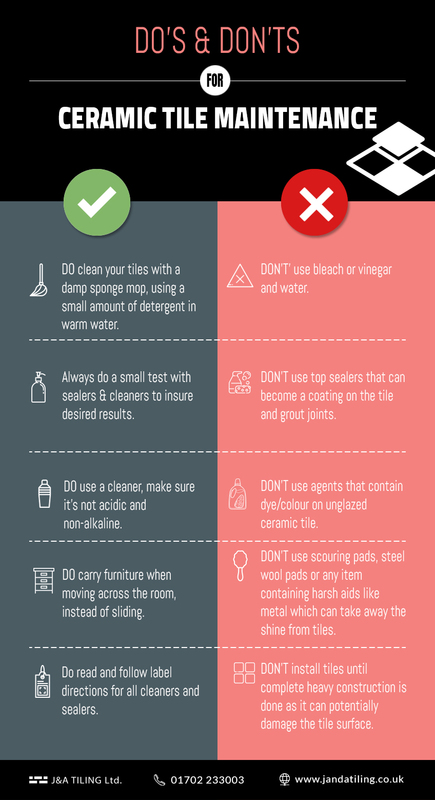 It is suggested to clean all the stains immediately to avoid any permanent damage to the tile surfaces also, not use acidic cleaner for cleaning. Ceramic tiles can be installed on tile countertops, tile floors or bathrooms. 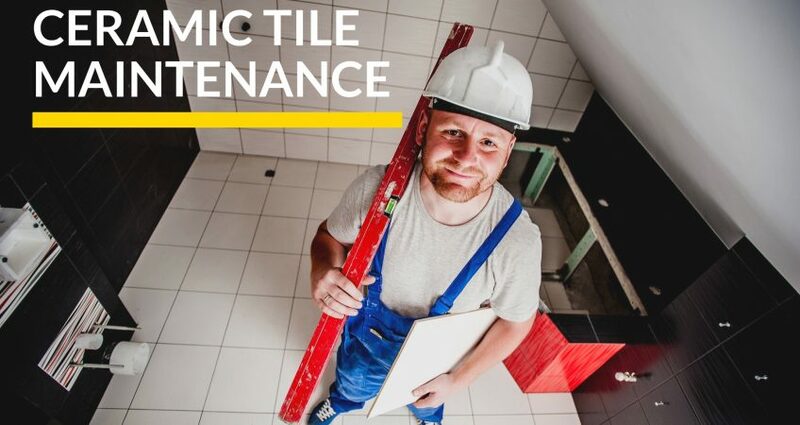 Fixing broken and scratched tile is important in regular maintenance. 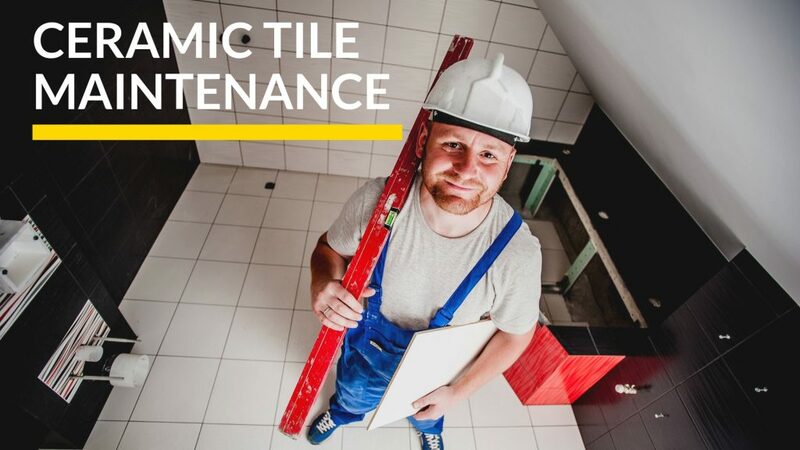 If any tile breaks it is important that you repair it immediately to avoid further damage in the tile setting. If you are looking for ceramic tile contractors, J&A Tilling has you covered. If you want to know more about how to clean ceramic tiles get in touch with us. If you wish to learn more about brick slips and ceramic tile fitting you are at the right place. We pride in providing brick slip and tile fitting services all over Essex, London, Kent & Surrey.